A couple days ago, the weather turned chilly again, which was a huge surprise to me. I thought we were already into Summer weather! Come to think of it, today is the first day of Spring. That’s great, because I don’t like Winter or the cold. Bring on the heat already! Today I did a lot of research on new Chromebooks because the laptop I use to write this blog every evening has a hardware problem and is super-slow, and sometimes will just crash in the middle of whatever I am doing. Luckily WordPress does a pretty good job of auto-saving so I haven’t lost too much work. But the computer boots up so slowly that I think it is time for me to find a new laptop. As you may know, I have been trying to simplify my life and declutter. This new laptop is so minimal, that I am really looking forward to using it! Just like my X100T makes me work within its limitations, I am wondering if the Chromebook will have a similar effect. We’ll see! Today’s photo is of a new lens that Mariko bought for her camera. 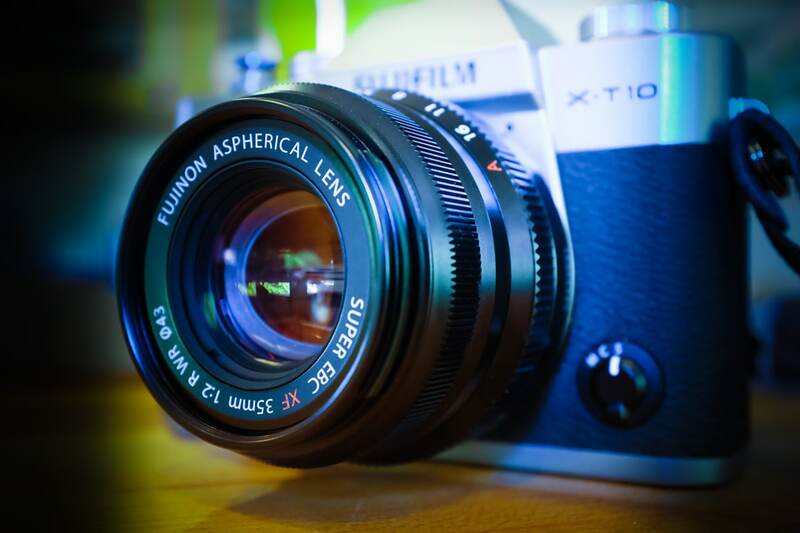 It’s the highly-regarded Fujinon 35mm F/2.0 WR lens. It’s really nice because the focus is fast and silent, the aperture ring feels great, and it’s a lot smaller than the 18-55mm zoom. Plus the image quality is excellent and it has a certain look to the images that Mariko really likes. It’s definitely a keeper lens! Well, I better get to bed. It’s past my usual time!